During migrations there is always the trouble of all those settings and things to do before everything is running smoothly. Well during my migration I needed to move several Machines to a private cloud subscription in Azure Pack. 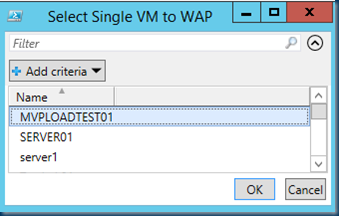 #Set your SCVMM server and use -ForOnBehalfOf to make use of Service Provider Foundation. 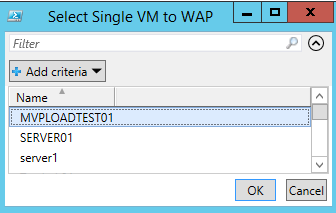 $User = (Get-SCUserRole | Where-Object Cloud -Match $Cloud).Name | Out-GridView -PassThru -Title "Select WAP User Subscription"
When Checking the Windows Azure Portal you will see after a refresh a VM that is migrated to Azure Pack.